The Classic Palm OS emulator for the Pre could come in handy if there's no WebOS-native alternative to apps you've long used on your Treo or Centro. And version 2.0 has added HotSync support, full-screen mode, and a "ClassicApps" bundle. Full HotSync compatibility is the highlight, and it works over Wi-Fi or Bluetooth. As for the pre-installed apps and games—some are freebies, while others are limited trials; see the link below for the full list. Other useful tweaks include quick keyboard mode switch, improved reset functionality, and reduced power consumption. As was the case before, Classic runs side by side with other WebOS applications. 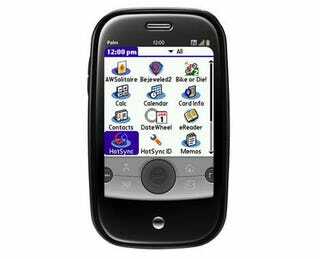 It's not a replacement OS and doesn't limit its features, it just runs the Palm OS apps inside the WebOS environment.